Private First Class William Cavin enlisted in the United States Marine Corps when he was just 16 years old. In 2013, his remains were discovered in a patch of cemetery dedicated to unidentified veterans of World War II in Honolulu. 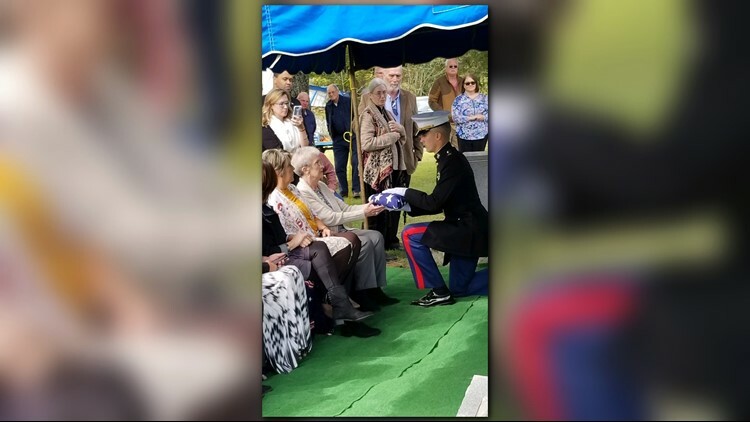 It was a moment of long-awaited relief as Sue Livesay watched a U.S. Marine Corps honor guard solemnly carry a flag-draped coffin off a plane at McGhee Tyson Airport on Friday afternoon, Oct. 12. “It is a final closure, as well as the military’s accreditation for having gotten these returned," Livesay said." 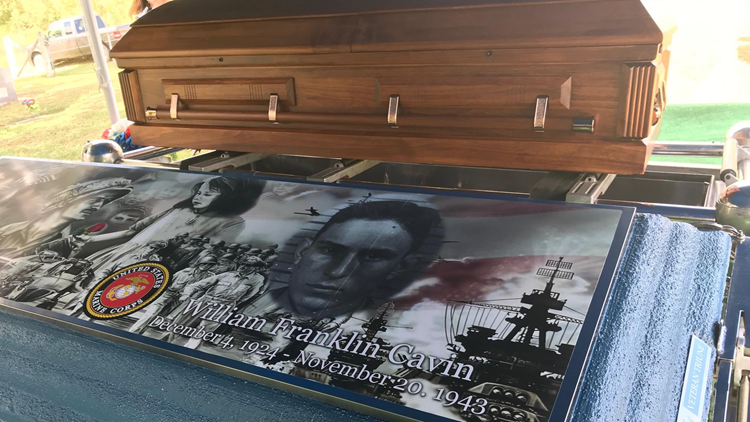 For more than 70 years, her first cousin, Private First Class William F. Cavin, had been one of nearly 79,000 Americans unaccounted for in World War II. The youngest of three siblings, he grew up in the hills and hollers of Hancock County. When he was just 16 years old, Cavin enlisted in the United States Marine Corps the fall before the attack on Pearl Harbor drove the U.S. to enter the war. “When we met with them and they presented his military history, it was very, very good and, I’m very grateful for what medals and recognition he received in the military," Livesay said. DNA testing confirmed Cavin had been buried in an unidentified section of veteran graves at the Punchbowl National Cemetery in Honolulu under a headstone simply labeled "Tarawa Unknown X-032." Since learning of his whereabouts in 2013, the family worked to bring him home. 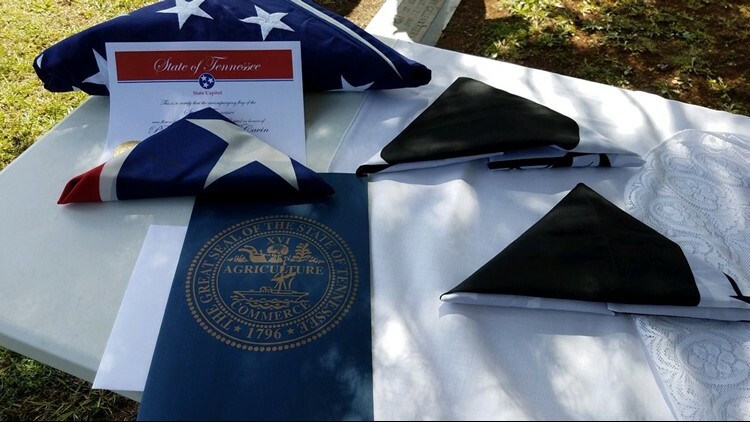 Another East Tennessee veteran from the Tri-Cities who died during the attack on Pearl Harbor, Navy Seaman 2nd Class William Campbell, was also identified at the cemetery and returned home this week. On Friday, the journey to bring Cavin home more than 70 years after his death finally came to an end. Livesay said it was a moment to remember. Cavin was laid to rest at the Overton Cemetery in Sneedville on Saturday afternoon, Oct. 13. Gov. Bill Haslam ordered flags to be flown at half-staff from sunrise to sunset on Saturday, Oct. 13 in honor of Cavin's sacrifice.